Notes: SOLD EXCHANGE. SEE LISTING FOR DETAILS. 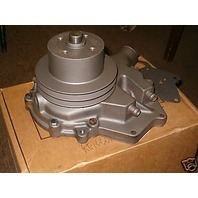 YOU ARE BIDDING ON A REMANUFATURED WATER PUMP FOR A JOHN DEERE 310C, 310D, 315C AND 315D LOADER BACKHOE. THE PART NUMBER FOR THE PUMP IS RE16666 OR RE21775. COMES WITH T20243 GASKET. 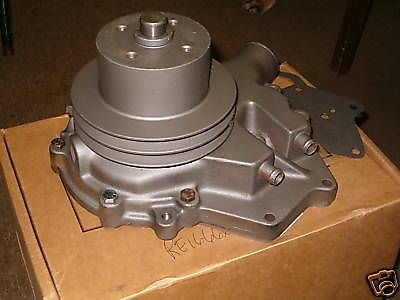 THIS PUMP IS FACTORY RE-MANUFACTURED by a company owned by DEERE. YOUR ACTUAL COST ON THIS PUMP WILL BE LESS IF YOU SEND US YOUR OLD WATER PUMP. SEE DETAILS BELOW. THE MAIN APPLICATION FOR THIS WATER PUMP IS IN LOADER BACKHOES: MODELS 310C 310D 315C 315D WITHOUT AIR CONDITIONING. 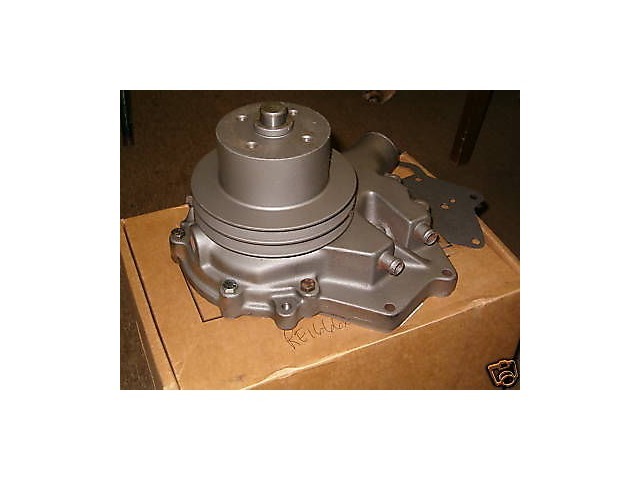 IT IS ALSO USED IN A VARIETY OF ENGINES (SEE YOUR PARTS BOOK FOR SPECIFIC USES OR CALL US FOR DETAILS): 6059 , 4239T , 4039 , 6359T , 6059D , 6059T , DF092 , 6068D , 6068T . CASTING NUMBERS ON THE PUMPS ARE R70612 , R90783 , R78287 . PRICE INCLUDES $200 CORE WHICH WE REFUND WHEN YOU RETURN YOUR BUILDABLE CORE. WE PAY RETURN FREIGHT ON THE CORE IN 48 STATES. CALL US FOR PICKUP WHEN CORE IS READY. IF YOU HAVE QUESTIONS ON THE UNIT, PLEASE CONTACT THE SELLER IN ADVANCE. SHIPPING IS VIA UPS. WE CAN QUOTE DELIVERY TO YOUR LOCATION. PLEASE CONSULT YOUR PARTS OR SERVICE MANUAL FOR SPECIFIC INSTRUCTIONS ON PUMP INSTALLATION. WE HAVE THOSE MANUALS AVAILABLE FOR SALE AS WELL IF NEEDED. WE ALSO HAVE NEW PUMPS AVAILABLE ON THE SHELF FOR SALE.